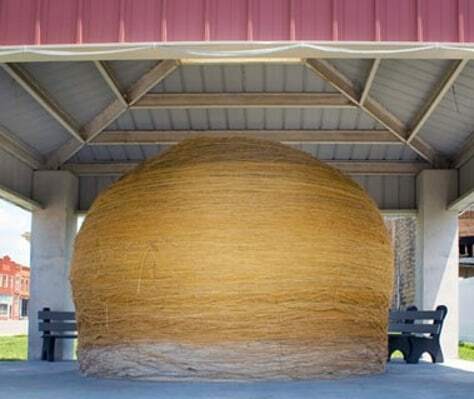 Frank Stoeber started winding twine in his basement in 1953. Determined to outdo the mighty 12-foot-wide Johnson Twine Ball in Darwin, Minn., he labored tirelessly until his death in 1974, finishing one foot short of his goal. Since then, residents and tourists visiting Cawker City, Kan., have been adding to Stoeber's ball in the annual Twineathon held in August. It now weighs a hefty nine tons and measures 40 feet in diameter.